This is the first in a five-part series on applying motivational design to your user experience. A few years ago I’d just started working as Director of Experience Design for a student loan company. At the time, most Federal student loans had a variable interest rate. Rates were low, but expected to jump on July 1st. The only way to avoid this increase, which could be thousands or more across the repayment term, was to consolidate the loans. As the deadline approached, volume increased, and the consolidation rush was on. Within 48 hours of the deadline, phone systems and web servers were being stretched to their breaking point. The loan consolidation web application had never been designed for this load—needless to say pages were loading slowly. At the worst we estimated page load times between 20-25 minutes. Yes, minutes. Yet, borrowers continued to apply and complete the conversion. Not a few, but thousands. As a customer experience professional, I’ve spent a career trying to anticipate and remove even the smallest barrier that would impede successful performance. For days after the consolidation deadline, I thought about those borrowers. Why didn’t they abandon? With such a bad experience, why were so many borrowers so resolute? It was simple. They were motivated. A well-designed loop of Attention, Relevance, Confidence and Satisfaction leads to repeat customers. Successfully convert with fewer usability issues or environmental barriers. Share or recommend to someone else. One great experience with motivation baked in can turn a one-time customer into a repeat customer and then a loyal one. You may be thinking: That sounds good, but how do I make sure my user experience motivates my customer? The answer lies in combining motivational design with user experience design. We do so by applying the ARCS Model to a user-centered design process. 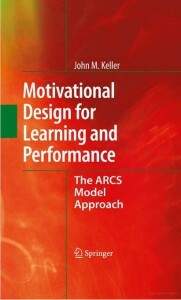 John Keller’s ARCS Model serves as a framework for building motivation into user experiences. Human characteristics: the attitudes goals, values and expectations inherent in customers. Social and environmental conditions: attributes that influence, positively or negatively, the level of motivation. Consequences: outcomes of the experience that influence the perception of the experience and the magnitude to which the customer has the willingness to perform the experience again. ARCS stands for Attention, Relevance, Confidence and Satisfaction. Let’s think about our roller coaster kid again. The sights and sounds of the coaster got his attention. He determined it was relevant to him and watched the other passengers, giving him confidence that the wait was worth it. 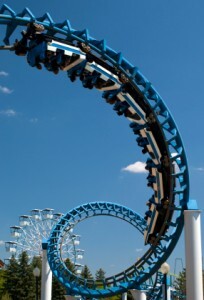 He came off the coaster satisfied with his ride and ready to go again. ARCS traditionally has been applied to instructional and learning solutions; however, it’s my experience that it provides a practical roadmap for building motivation into the customer experience. In the next four articles in this series, we’ll discuss how designing for Attention, Relevance, Confidence and Satisfaction can pave the way to happier customers doing more business with you.